As an institution that has been around for 140 years, Rocky Mountain College has a ton of history with the state of Montana and the local Billings community. A huge part of that history is embodied in the buildings of RMC’s campus, many of which were constructed in the early 1900s. One of the joys of attending a historical college is getting to learn unique details about the school’s past and the history of the buildings in particular. Today students know Morledge-Kimball Hall, or MK, as the home to many classrooms and professors’ offices. When the 105-year-old building was originally constructed, it was the first women’s dormitory on campus. 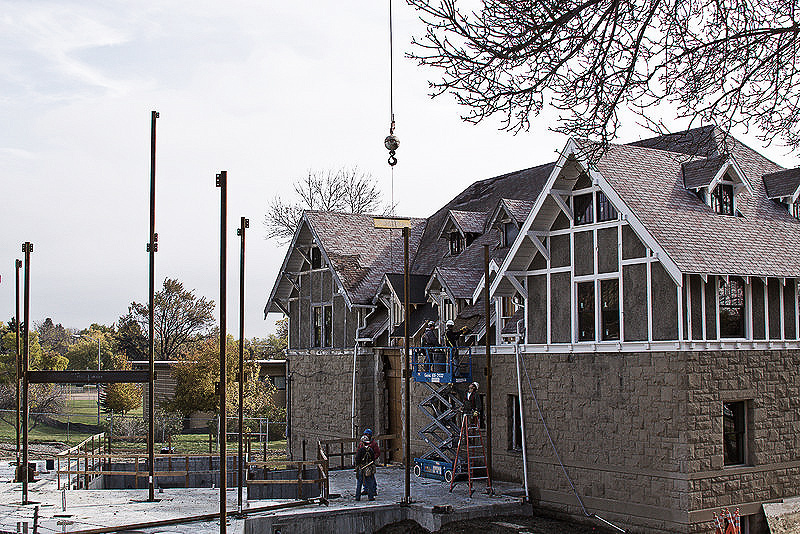 Construction on MK, formerly known as Kimball Hall, began in 1913 with much of the cost being covered by donors throughout the U.S. and Canada. The hall’s namesake comes from the largest donor of the project, Mrs. Flora Kimball of Portsmouth, New Hampshire. Once the building was finished, the total cost was $15,000 at the time, which is the equivalent of over $300,000 in today’s money. Though the building is well used today, it actually went through a period where it functioned as a storage unit and faced possible demolition in 1996. The demolition was prevented by the Montana Historical Preservation Office and interested parties at RMC. It would be another 13 years before the building would be remodeled and become the MK that we know today. Since the building is a historical site, the renovation had to preserve as much of the original building as possible; the original brick and hardwood floors are still in today’s building. After the restoration of the building, it was dubbed Morledge-Kimball. The name “Morledge” comes from the late Dr. Charles Morledge who met his wife, Patricia, in the building. Patricia Morledge also funded the multi-million dollar remodel, which includes the main walkway of the campus. Dr. Morledge’s association with the college began in the early nineties as a member of the National Advisory Council. From there, he became a Rocky trustee. Morledge was active in the school’s building and grounds committee as well as the educational committee. RMC awarded Morledge an honorary doctorate in humane letters, a degree for those who have shown exceptional work in humanities. Much like her husband, Patricia Morledge was also very involved with RMC and her association with the college dates back to the 1940s. Patricia Morledge’s mother was once the admissions representative of the college and Patricia herself went on to be apart of the National Advisory Council for the institution. The couple actively sought out ways to improve the campus and, for their efforts, both have been inducted to the RMC Alumni Hall of Fame. Morledge-Kimball Hall has already gone through many changes in it’s time on campus. As Rocky continues to evolve, so will it’s buildings and the community that supports this college.